Trends can range from using a neutral palette to paint the walls to installing recessed lighting or replacing outdated fixtures with modern minimalist-style faucets. One tried and true classic style is the clean and modern look of black and white utilizing the pristine color of white for all cabinets, walls and ceilings highlighted with black granite counter tops and black appliances. Choose from top or bottom-freezer refrigerators for maximum chilling, side-by-side styles or one with French doors. For stoves, the smooth top style is currently at the top of the list. For all appliances, including microwaves and dishwashers, choose only energy efficient models. Remove and replace with marble, quartz or granite to bring your kitchen up-to-the-minute. 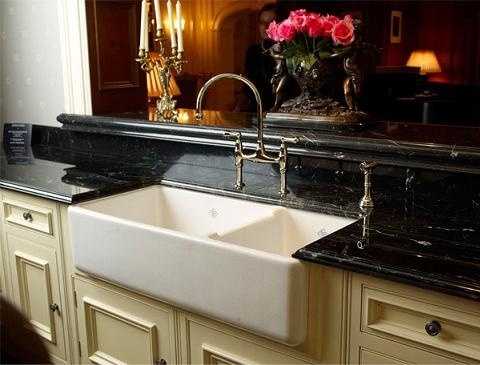 While your current sink may look good, replacing it with a new apron-front gives an entirely new look to traditional sinks. They look good and stay in style. An idea for dark colored cabinets is creating an eye-catching backsplash underneath and around the perimeter of the cabinets. Using an assortment of mosaics available in a variety of colors along with strips of mirrored tile turn bland walls into a visual delight while giving the illusion of more space. Homeowners have three choices in redoing kitchen cabinets. First, replace outdated plywood cabinets with a solid wood or go country flair with glass front doors. Second, if you like the current wood cabinets but they need a little TLC, sand them down and refinish with a different color varnish. Last, if the cabinets look good invest in new cabinet hardware. Brighten up dark corners, over the stove area, under cabinets or any spot not benefiting from current lighting by installing recessed lighting or new over sized light fixtures with solid or colored shades that illuminate the entire area. 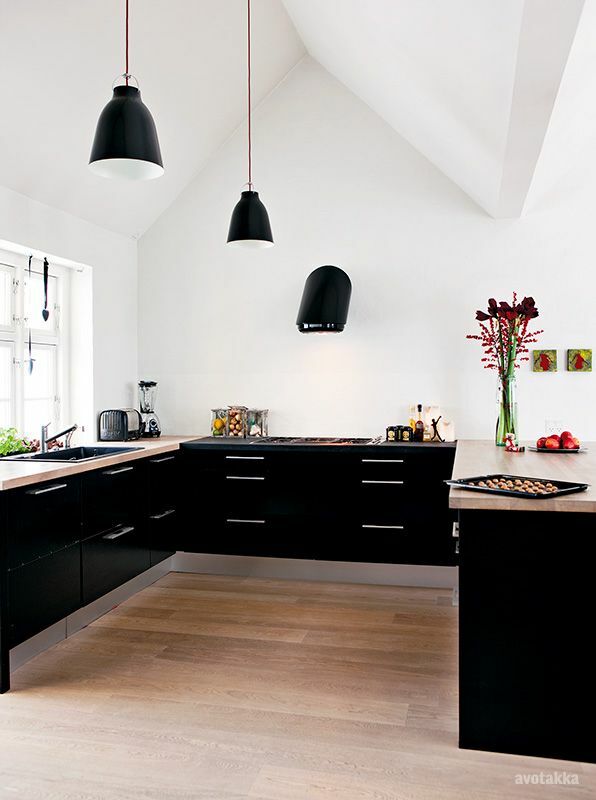 Both styles will add pizazze to your kitchen along with lighting up every nook and cranny. The skies the limit when it comes to flooring. Choose tile, linoleum, bamboo, cork, laminate, vinyl or hardwood. Each provides its own strengths, colors, patterns and designs to fit any theme. If you can afford it, take a look at marble flooring options. The kitchen island is a versatile area depending on the style. Some are standard block-top tables used uses a prep area while other styles have a lower shelf for pots and pans or a wine rack. Some are enclosed with a cabinet while others are open allowing for bar stools so the island can be used for casual meals. Choose several decorative pieces to enhance the total look. A herb garden on the window sill, an iron pot rack over the kitchen island, a set of professional knives in a rack or a colorful rug under the island can pull the room together.